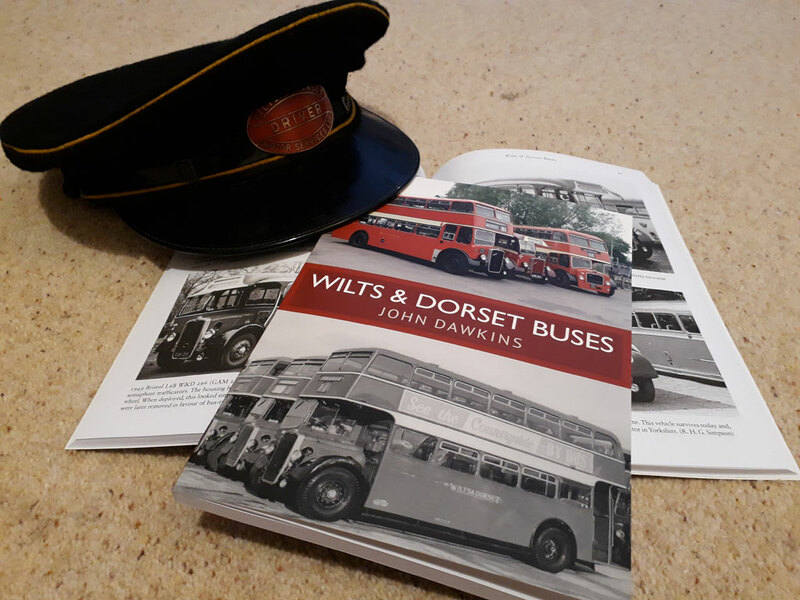 After many months of preparation, my new book ‘Wilts & Dorset Buses’ has been published. Regular readers will know that my bus driving roots go back to my childhood days watching and riding on Wilts & Dorset buses in Salisbury, Wiltshire. My interest was mostly inherited from my father, the late Derek J Dawkins, who also passed on a large collection of photographs to me. The new book is based on this collection but also includes some of my own photos. The albums I inherited had been carefully annotated by my father but I have had great fun expanding on these with my own knowledge and research to create more readable captions. There’s a ‘Postscript’ section at the end which gives a more personal view of a couple of commemorative events in Salisbury in which I took part. You may have already seen that I covered these in my blog in 2014 and 2015. I have to admit that I’m not the world’s best authority on Wilts & Dorset buses (although I know a man who could take that title) and I didn’t set out to write a reference work. I hope you’ll see that it’s a personal impression of the bus fleet as it was when my Dad was growing up in Salisbury and later, as he started his working career. The softback book has 128 pages and the images on the inner pages are black and white. It can be obtained through Amberley Publishing and I commend it to you! This entry was posted in Driving, Memories and tagged Amberley Publishing, Derek J Dawkins, Salisbury, Wilts & Dorset. Pleased to hear your blog is live again, now we know why! Looks like a nice volume to me – I will certainly be buying a copy when funds permit as W&D has many interesting vehicles over the years, not least of which were the ex Venture Transport buses at Basingstoke, a company that was formerly part of the Red & White group. Yes Alan, there are a number of photos in the book of ex-Venture vehicles, in both Venture and W&D liveries. Congratulations – i often wonder if I have a book in me about my first love (devon general) and my varied driving experiences since. Thanks James. I have an interest in Devon General too, having been brought up in Exmouth. I have followed your blog since meeting you years ago on back of the 400. I had hoped to make it to Salisbury but domestic responsibilities intervened. I have only made one Exeter running day and the Winkleigh events. I had a walk on Exmoor a couple of summers ago and caught Quantocks 300. Only return fares which made our one way trip very expensive – a strange pricing policy. Surprised it is running again this summer. Very pleased you have gone into print and have ordered a copy, to remind me of an enjoyable gap year in Salisbury during 1972- 1973. It’s nice to hear from you again Bob. Hope you enjoy the book.